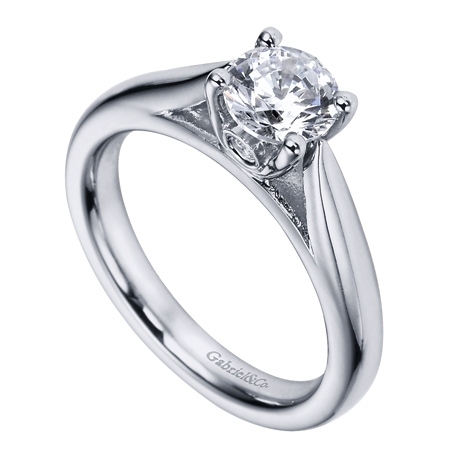 Play solitaire for two with this contemporary engagement ring. 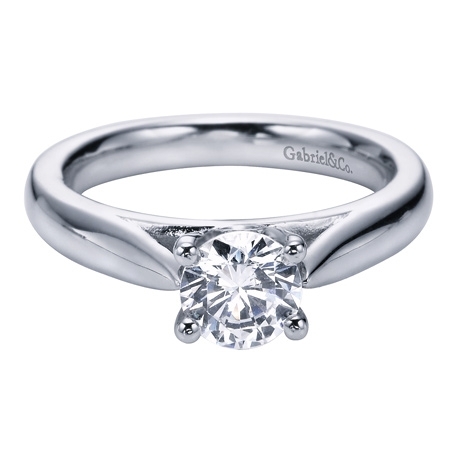 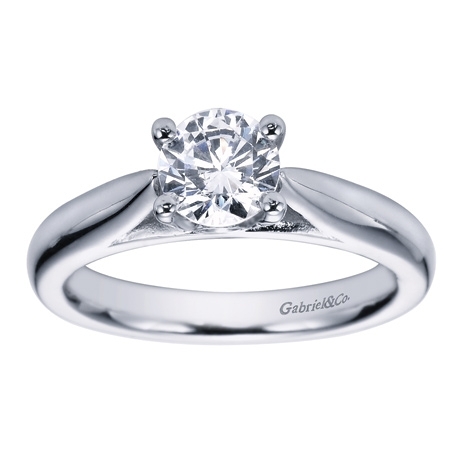 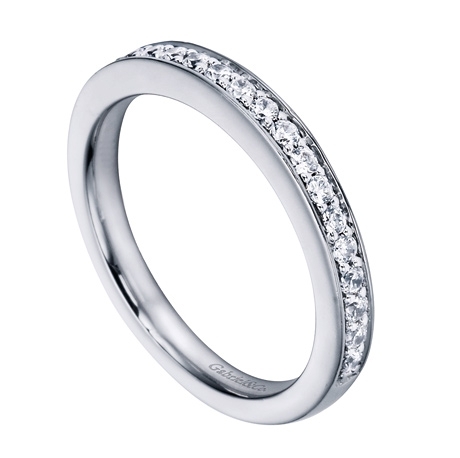 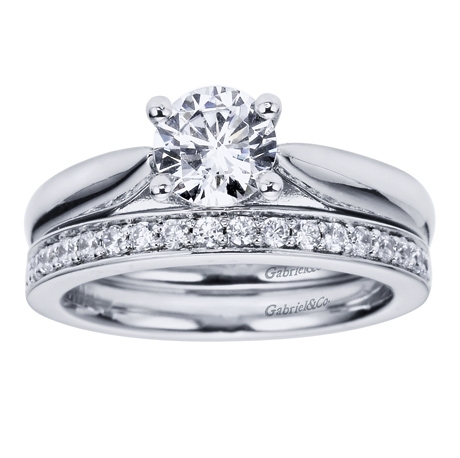 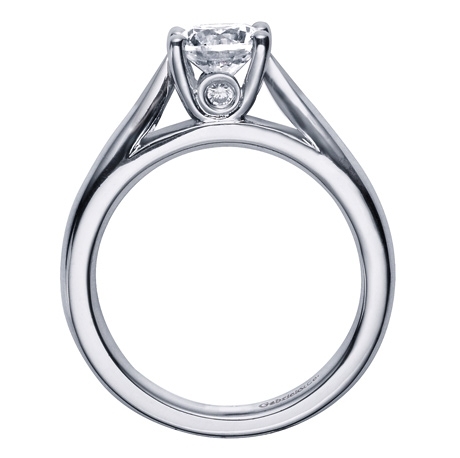 The sleek white gold band will enhance the luster and shine of a round center stone. Clean lines and a sleek finish give this white gold or platinum contemporary solitaire engagement ring its reputation for showing off a round center diamond.